Modern, efficient and flexible – welcome to Simag Service GmbH. 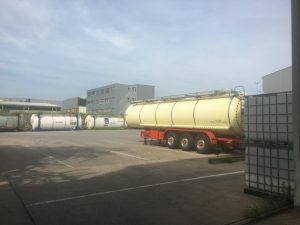 Founded in 2004 as a manufacturer of customized screening and separation plants, we quickly became known throughout Europe as a problem solver for customers in the chemical industry. 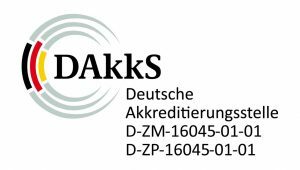 Based on our know-how and extensive knowledge in the field of , since 2013 we’ve specialized in services for the chemical industry at our headquarters in Mannheim. In order to solve customer-specific tasks, we develop individual systems in cooperation with our customers. We use these for both complex and small-volume processing . Our core competence as a neutral service company lies in the processing of raw material batches by toll mixing or toll screening – we thus function as a classic toll manufacturer. We process and rework chemical and technical products by grinding, screening, drying, mixing, granulating and compacting. We also provide filling and packaging services. We are particularly specialized in the processing of polyethylene glycol (PEG) and the grinding of broken tablets. Thus we cover a wide spectrum of processing possibilities for our customers from all over the world. Talk to us! Keep your production costs under control. 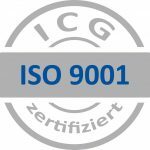 As part of our customer-oriented quality management system, Simag Service GmbH naturally holds DIN ISO 9001 certification. In our laboratory, we have established an analytical procedure and a control technology with which we continuously ensure high product qualities and requirements. The core competence as a neutral service company lies in the processing of raw material batches by toll mixing or toll screening. In addition, we also create and operate customer-specific systems in-house. In our production halls, which are optimally equipped for your purposes, we use various universal, pin and turbo mills for comminution. Depending on the requirements of the finished product, the systems can be equipped with various grinding tools that allow the grain size to be precisely adjusted. We also operate a roller mill for particularly gentle, low-dust grinding of various materials into fine granules. 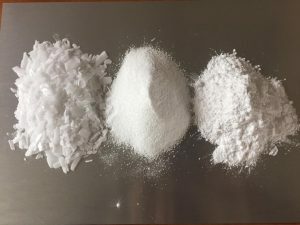 Bulk material that has attracted moisture or has become too compact due to superimposition or strong heat exposure can also be processed in our grinding plants. Special crushing plants, so-called lump breakers, ensure that the lumped material becomes free-flowing again. After a long period of development we have created an effective grinding process through which broken laminated and uncoated tablets can be processed. If necessary, the tablets are separated from the foil, ground and then screened. 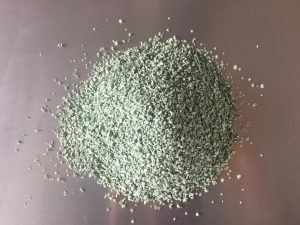 The resulting granulate can be reused for the production of tablets. Toll grinding is particularly suitable for plastics manufacturers who produce a lot of rejects and want to regenerate or recycle them. However, very few companies have the option of carrying out the processing themselves. Simag Service GmbH offers you the shredding, separation and mixing of your plastic waste as part of plastic recycling – quickly, flexibly and to the highest quality standards. With our fleet of vehicles we collect your production waste, whether edge strips, sprues, blocked material or faulty batches. 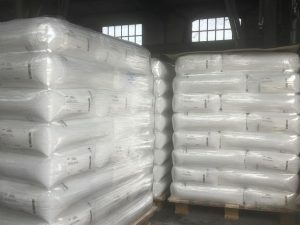 Processing is carried out according to your individual specifications: You define the grain size, the additives for possible mixing and the type of packaging for the end product. Based on our know-how and experience in separation and grinding technologies, we professionally prepare your goods so that nothing stands in the way of immediate, renewed use. Together we will surely find a good solution for your request and at the same time protect the environment for our children. SIMAG Service GmbH has the appropriate equipment and many years of experience for best sieving results with almost any bulk Material. If production bottlenecks arise, we can quickly and easily help you with our services in the field of toll screening. Whether it’s a matter of fast reprocessing of faulty batches or simply outsourcing production steps for which no capacity is available, we have a solution. We have different screening plants for different requirements and screening attachments for almost every grain spectrum. 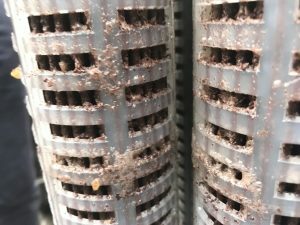 Each sieving plant is therefore subjected to a thorough cleaning after use. As a service partner of the bulk material processing industry, we develop and fulfill your individual project in the field of granulation and compaction in direct cooperation with you. 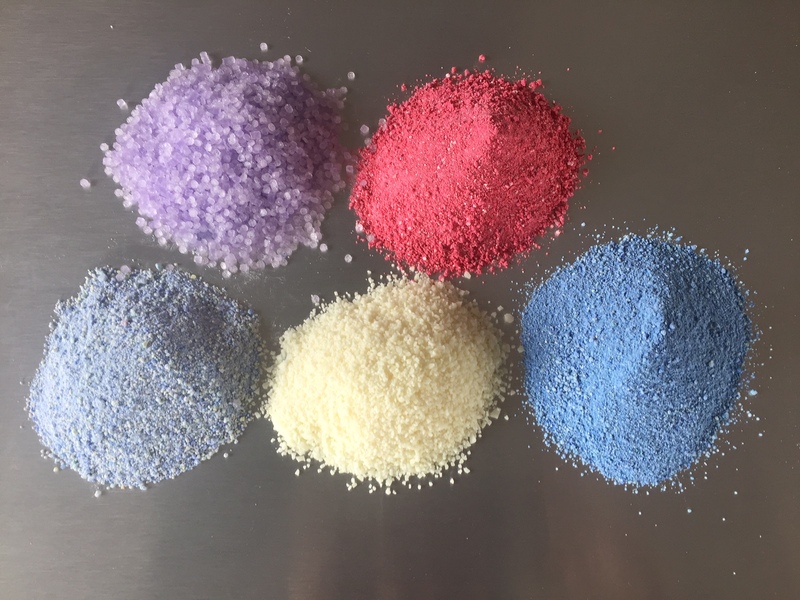 The production and processing of granules offers a number of advantages over the use of non-granulated solids: granules exhibit improved flow and adhesion properties, which are advantageous when pressed into tablets. The uniformity of the granulates enables higher dosing accuracy and homogeneous distribution of the active ingredients. Since not all raw materials can be optimally processed in dry condition, we also offer our customers the right solution for this case: moist granulation. Our toll processing is optimally lined up for the mixing of powders, granulates and liquids for fine and specialty chemicals. 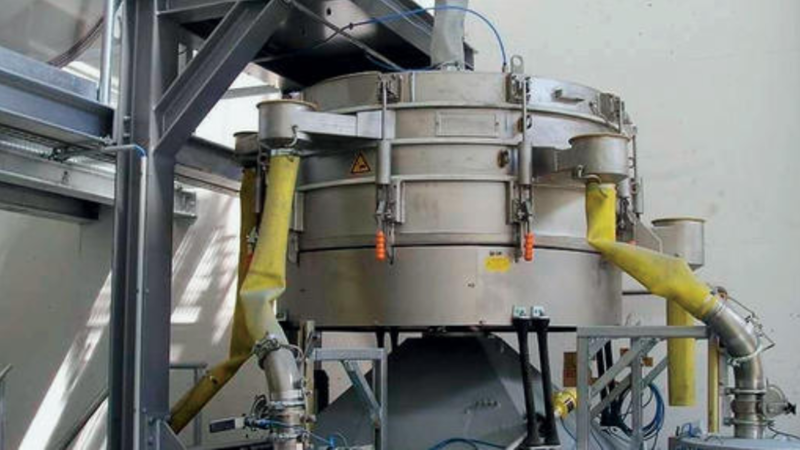 We have several powerful batch mixers for the precise mixing of your bulk materials. In order to achieve homogeneous mixing results, we select our plants according to individual customer requirements. We also have the appropriate equipment for different requirements in the mixing of solids and liquids. Reliable filtration and treatment of liquids is an important aspect of numerous industrial applications. For the precise separation of solids from liquids, Simag Service uses carefully selected filter media and meticulous processing. Special components and filter systems such as candle filters and membrane filters ensure consistent product quality at the highest level. The results are impressive: maximum purity of the filtered substances is guaranteed as well as high operational safety and exemplary reliability, no matter whether it is microfiltration or ultrafiltration. In addition to the technical processing of solids and liquids, we fill them into all forms of containers for our customers. 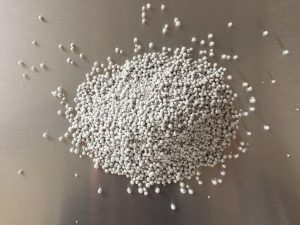 This applies to powder filling, powder decanting or liquid filling. We have modern filling machines with integrated weighing systems for bagging into valve or open-mouth bags, for filling into big bags, sacks, barrels or octabins and for filling products with a low minimum ignition energy. 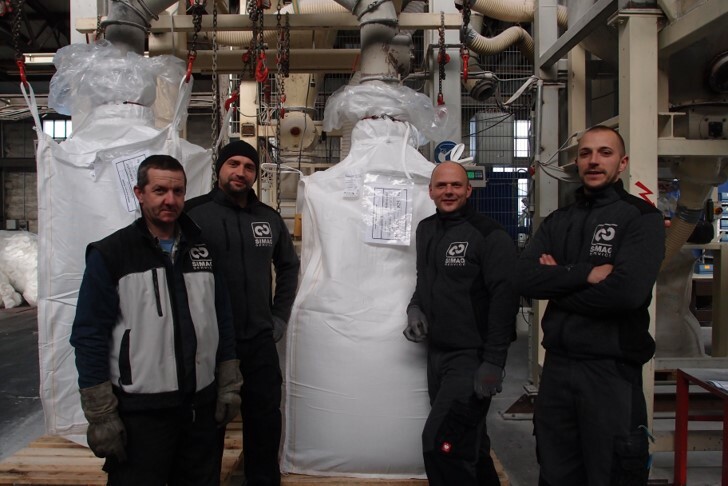 A special plant for filling under inert atmosphere and the transfer from tank trucks into big bags and vice versa round off our comprehensive service. 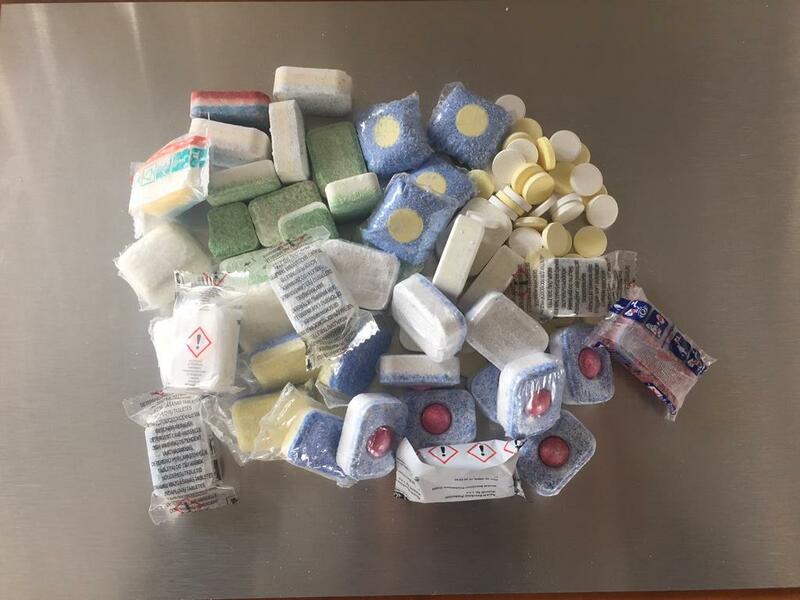 Polyethylene glycol (PEG) is used in the industry as a binder, for enzymes, as a moulding aid, complexing agent and also as a pharmaceutical active ingredient. All PEG’s are water soluble and have different melting points depending on molar mass. For example, PEG 1500 has a melting point of approx. 35°C and PEG 6000 a melting point of approx. 65°C. Long before these melting points, PEG flakes become plastic. 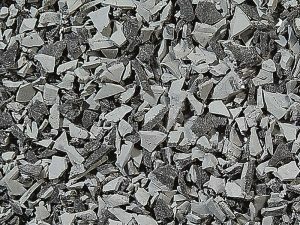 Solid PEG is produced in a spray tower and supplied either in flake form or as powder. The production of PEG powders in a spray tower consumes a lot of energy. For 1000 kg PEG powder you need approx. 300 kw. In contrast, the energy input when grinding 1000 kg of PEG flakes to powder is only approx. 30 kw in our plant. The grain shape of the PEG powder produced in the spray tower is usually spherical or drop-shaped. This grain shape has a very low specific surface area, which is not optimal for certain industrial applications, for example as a binder. After grinding, we give the grain an amorphous, irregular shape, which leads to a considerably larger specific surface area and is therefore better suited for further processing. 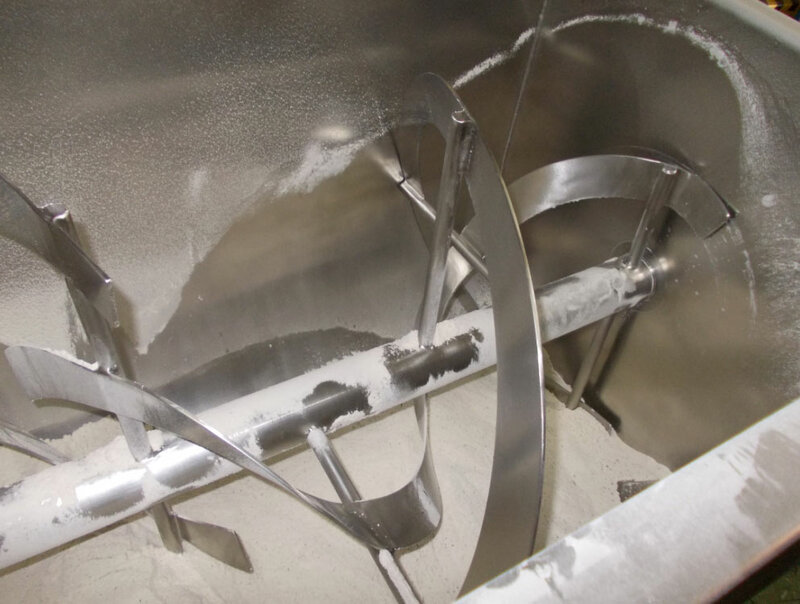 Due to our experience and the use of specially developed and built mills and conveyors, we are able to grind PEG Flakes into powder at a reasonable price. We successfully carry out several projects in this area for our customers from all over the world. I have read and taken notice of the Privacy statement . I hereby agree that my data will be permanently stored for further inquiries.